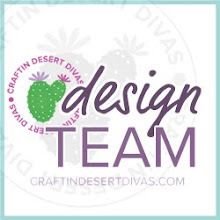 Tatiana here from Tatiana Craft And Art and I'm so excited to bring you my daily post and the inspiration project for the May Monthly Social Media Challenge here at Craftin Desert Divas blog today! Yes, the time flies by and summer is approaching so fast! 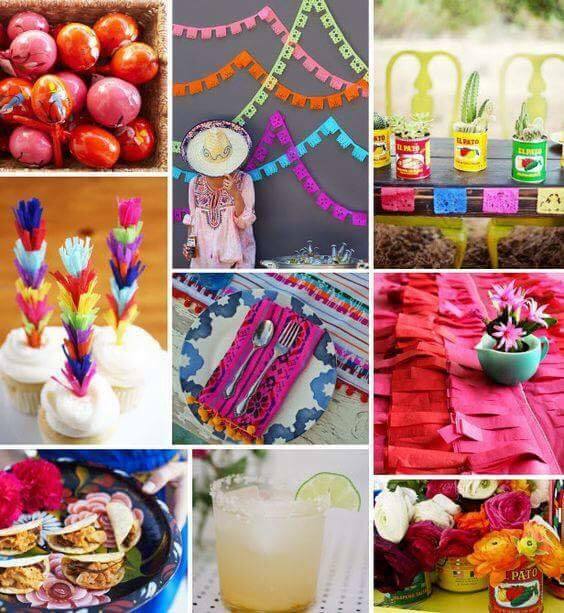 And it means that bright summer colors take place over soft pastel spring ones like on an amazing mood board from Craftin Desert Divas! Here's my take on the May mood board! 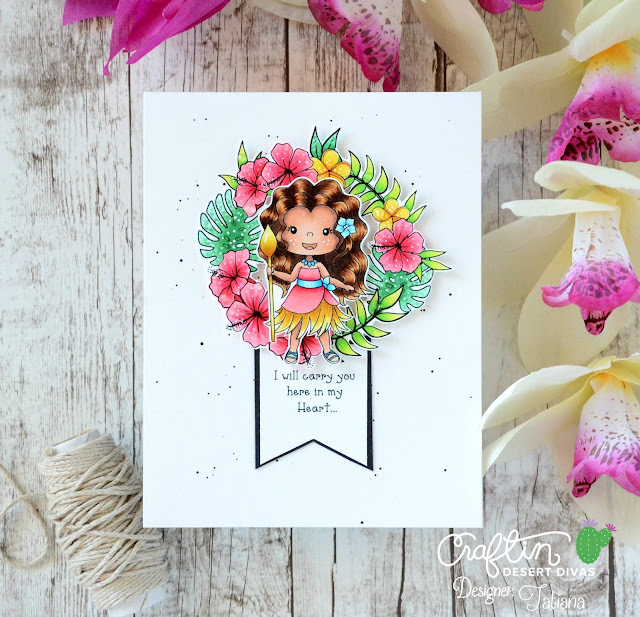 I was really inspired by its vibrant colors and beautiful flowers so that I immediately thought about the fantastic tropical flowers from new Floral Wreaths stamp set. 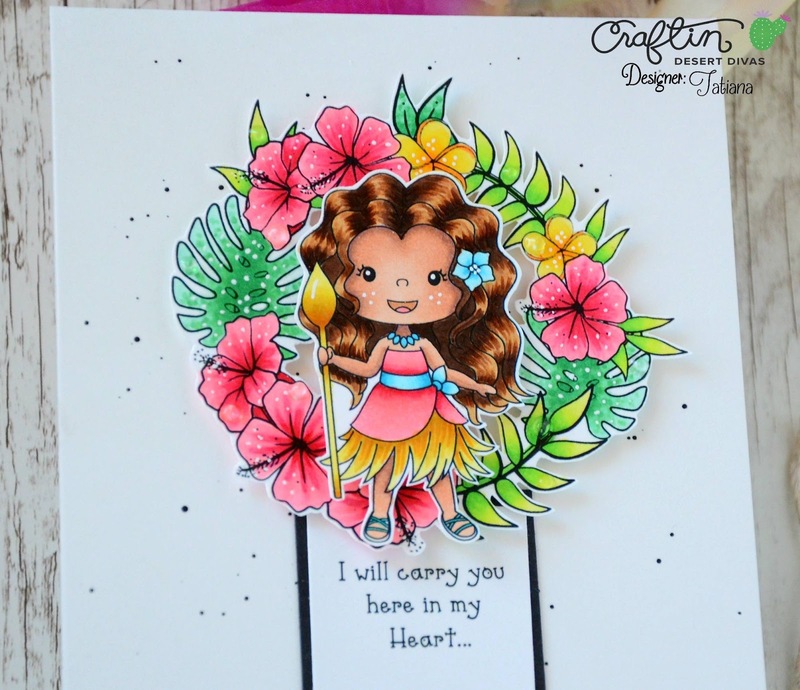 And since we are in the mood of summer vacations somewhere on a tropical island, I thought that a cute little girl from Fairytale Dreams the one that reminds me so much Moana from Disney movie, would be really perfect for this card. I started by stamping all the images with a copic friendly ink on a copic friendly paper, of course, and fussy cutting them leaving a little white edge around. I also stamped at this point the matching sentiment from the same Fairytale Dreams stamp set, shaped it into a fish-tale banner and arranged all the elements on my card base. I decided to go for a clean and simple look and don't add any other layers, but instead spent some time coloring with copic markers the fabulous stamps. As always I'm leaving all the exact colors I used at the bottom of this post, but don't feel like you need to have copic markers to recreate this card or invest so much time on making fancy shading. I think that even a very simple coloring with any media that you have on hand, would work great and give you a beautiful result. Finally I popped on a foam tape the colored floral wreath and the girl and just for something little extra added a few drops of Glossy Accents on top. That's all for today! 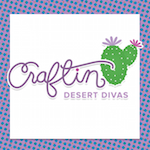 Thanks so much for stopping by and hope you'll join Craftin Desert divas May Monthly Social Media Challenge! You can win some amazing prizes! All you need to do is to create a project inspired by the current mood board and using at least one CDD brand product! Then just share it with #CDDMONTHLY in the Craftin Desert Divas Facebook Gallery! If you aren't a member, just request it here.